Ph.D. in Media Studies is a 3-year full-time doctorate level Media Studies course. 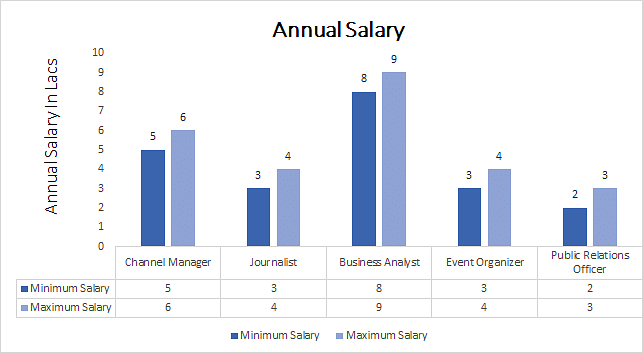 The eligibility for which is Master’s degree in Media Studies, M.Phil, or an equivalent master’s degree with a maximum of 50% of marks from a recognized university. Eligible students can apply for this course through online or offline to the reputed colleges. In this course, students study the major subjects like history, various collective communication methods, and tools that focus on mass media. Ph.D. in Media Studies course focuses on major disciplines like communication studies, mass communication, and communication sciences. For the Ph.D. in Media Studies course admissions, candidates have to attend the counseling conducted by the government and under-governed colleges. Candidates have to attend the entrance exam and the personal interview conducted by the private colleges to get an admission for this course. Other colleges may directly get an admission based on the marks obtained in their master’s and bachelor degree examinations. After completing Ph.D. in Media Studies doctorate course, graduates may get opportunities in major areas like News and Media, Advertising Companies, Film Industry, TV and Radio Companies, Event Management Companies, etc. Professionals after completing this course may work in major positions like Channel Manager, Journalist, Business Analyst, Event Organizer, Public Relations Officer, etc. Major Highlights for Ph.D. in Media Studies course are listed below. Ph.D. in Media Studies: What is it all about? Ph.D. in Media Studies course helps to know how to use techniques and concepts from disciplines like philosophy, economics, politics, anthropology, sociology, and psychology. This course focuses on specialized skills like efficient writing and teaching practice to the students. In this course, students learn editing techniques in specific areas of mass media and production process. This course emphasizes social impacts, history of mass media, analytical approach to the development of mass media, and understanding the communications approach. In this course, students study and examine the concepts of communication under major areas like cultural relations, economic, and social relations of modern life. Ph.D. in Media Studies course focuses on media and communication research, analytical strategies, and conceptual issues to be changed in the mass media. This course also includes digitation of information, conditions of globalization, the environment of media production, consumption, and dissemination. For Ph.D. in Media Studies course eligibility, candidates have to complete their Master’s degree in Media Studies, M.Phil, or an equivalent master’s degree from a recognized university. Candidates with a maximum of 50% of marks in their Master’s degree are eligible for this course. Candidates who have attended their final year master’s degree examination in any related media stream at the recognized university are also eligible for this course. Eligible students can apply for Ph.D. in Media Studies course through online or offline to the reputed colleges. Candidates can apply online on the official website of the reputed university for this course. (Or) Candidates can apply directly by visiting the reputed college to complete the admission process for this course. Based on the marks in the entrance exam and the performances in the personal interview candidates will be selected for this course admission. Other colleges may directly get an admission based on the marks obtained in their master’s and bachelor degree examinations. Ph.D. in Media Studies: Who should opt? After completing Ph.D. in Media Studies course, graduates may get opportunities in major areas like Television channels, Research and Educational Institutes, FM Radio stations, Media Marketing companies, Websites, Film industry, News, Magazines, Colleges, Universities, Digital Media Industries, Telecommunications industries, Marketing, Telecom Services, NGOs, etc. The number of openings for fresher in this field is less than the experienced graduates. After completing, graduates may find job opportunities in the areas like manufacturing organizations, equipment manufacturing, telecommunications, and internet manufacturing. Some of the graduates can work in the various areas like product representation, design, and manufacture of electronic devices, technical sales, systems management, and systems. Ph.D. in Media Studies professionals can work in positions offered by the top companies and organizations are Data organizer, Social media account manager, Media planning manager, Technical support officer, Assistant manager, Customer care executive, Public relation officer, Corp community officer, Media planning planner, Communication executive, Marketing manager, Digital media manager, etc.